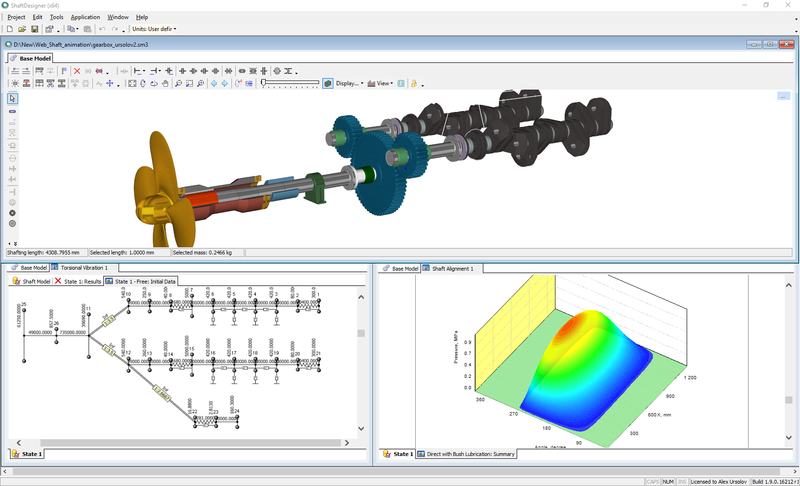 ShaftDesigner is a computer-aided engineering system, which enables the user to quickly optimize marine propulsion designs and installations. This software package can help to understand and to avoid potentially harmful shaft alignment and vibration problems in a propulsion design, by exploring alternative materials and geometries that can verify and optimize designs. It further helps personnel to quickly analyze and solve alignment and vibration issues for existing vessels during the maintenance and repair phases. Changes of the Base model are updated to all applications models automatically. Errors, which inevitably arise due to the required reentering of information, are thereby eliminated. As a result, the general time of calculations is decreased.